One might almost miss Larcy’s on Aguirre Avenue in BF Homes, save for its familiar heart-shaped logo outside the two-story building. 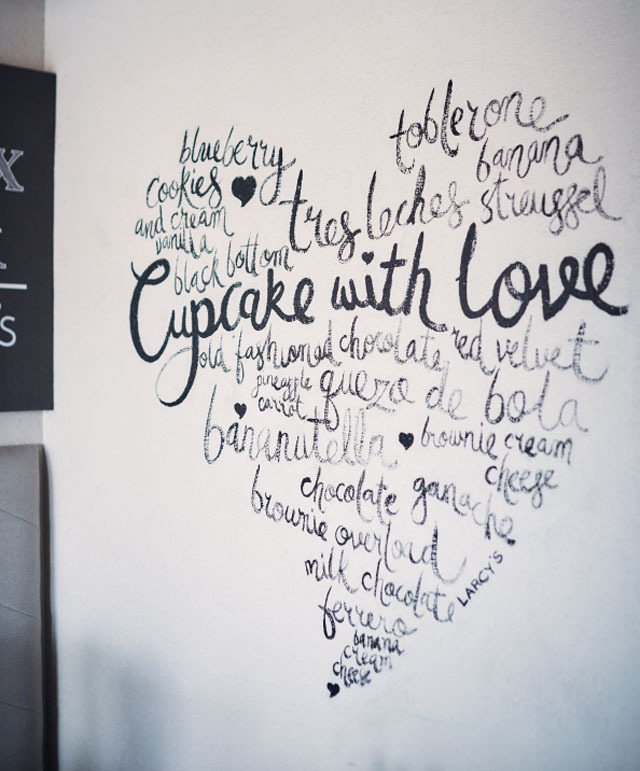 But as a neighborhood landmark, Larcy’s reminds passers-by why it remains a favorite dessert stop in the South, and now, a must-try diner that offers flavors of home. 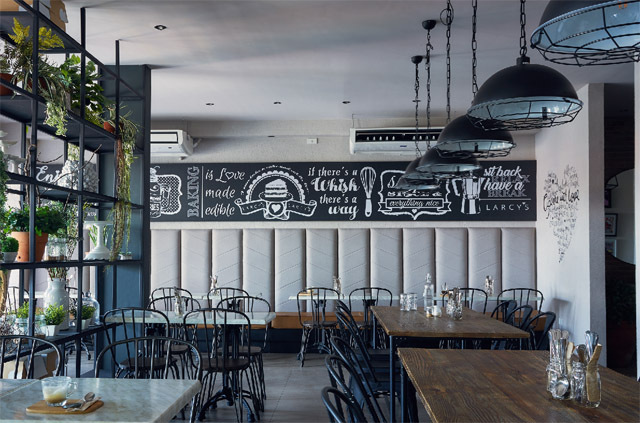 Larcy’s takes a bold step in recreating its space, ditching its former bubble gum pink palette and going for black furnishings, earth tones, and refreshing greens as accents. “This can be my house,” declares owner Larcy Diaz about the newly renovated space, which was closed for construction for six months and was re-opened in 2016. 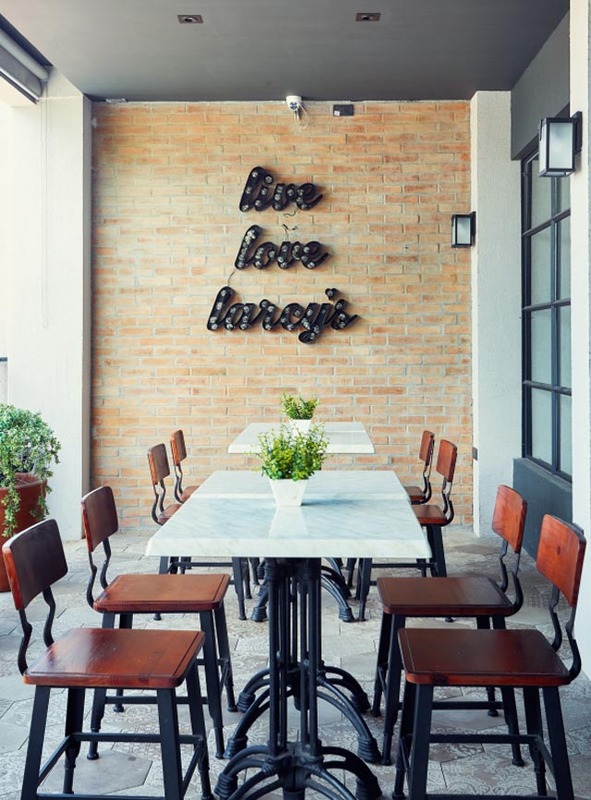 With Larcy’s re-branding comes a new look and vibe, which interior designer Wilan Dayrit conceptualized along with Larcy and her daughter, Micaela. Here are some design tricks Wilan and the owners used, that you can also try out in your own home. As Wilan attests, the process of renovation proved to be challenging, as it involved re-configuring the entire space and selecting which pieces to keep. “Regarding the concept, we started with what we have,” Wilan relates. 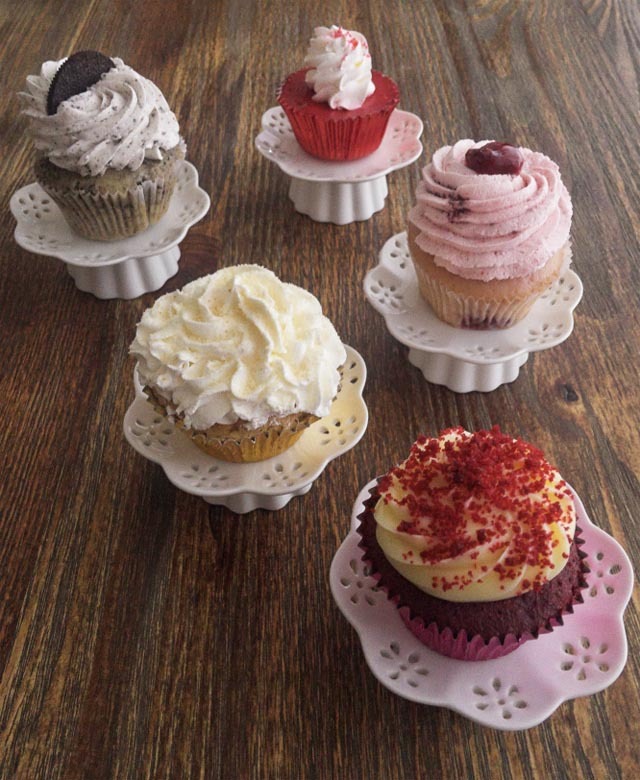 “We had to select kung ano-ano pa ‘yong mga gagamitin namin, which primarily included the dome chairs, the tables, and then some dim lights.” Metal chairs from the former Larcy’s Cupcakery were repainted in black to go with the new theme. While the overall theme looks akin to modern industrial design, Wilan is hesitant to claim it as such. “I don’t want to describe it as industrial because unlike the usual industrial look that you see around, it’s not rough around the edges… I’d like to believe that it’s polished, though admittedly, it is moving towards that casual dining ambiance with some tinges of industrial chic,” describes the designer. 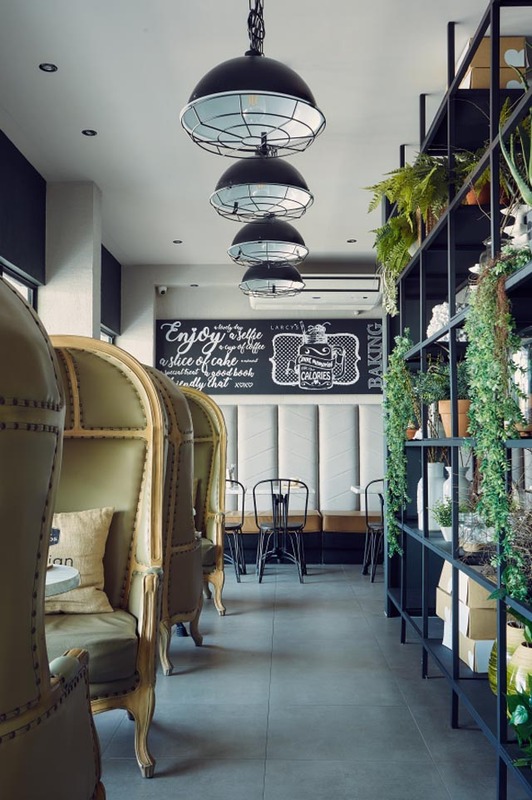 The “industrial” pieces—such as the factory lights, metal chairs, and the European-style Crittall metal doors—are tempered with wooden accents, romantic canopied seats, and greenery. 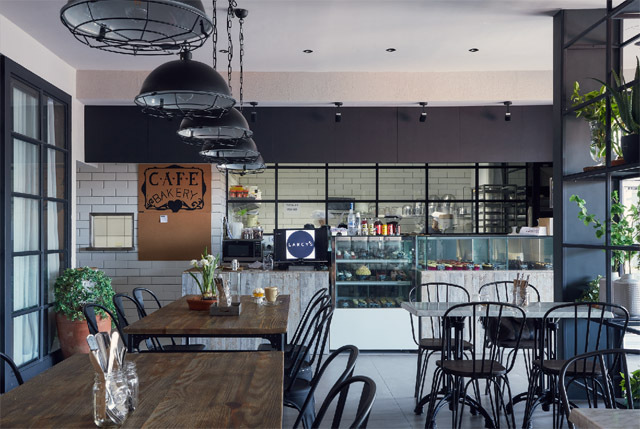 One of the focal points in the café is a floor-to-ceiling wall of shelves that Wilan filled with lush potted plants, mason jars, and bell jars. The shelves serve as a divider for the two dining spaces, and can also store their cake stands. Larcy and Wilan also had to consider the sensibilities of its young target market, which was why they consulted every design detail with Micaela. 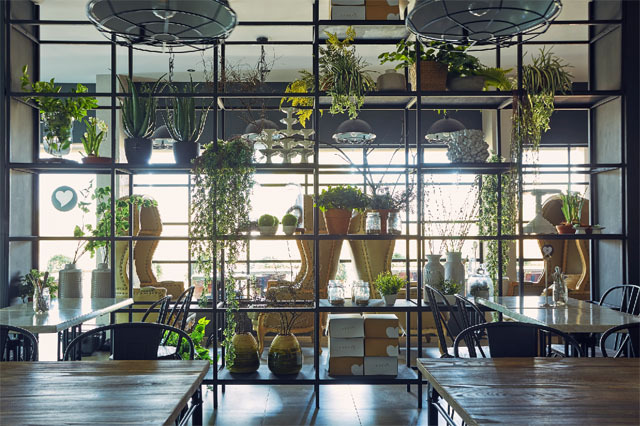 “If you notice, you can take photos at any corner of the entire space kasi now, eating is not just about the food but more about the place where you eat.” Some of the more Instagram-worthy spots are the shelves with the plants, and the private, canopied chairs along the windows, which are washed in natural light. You can get similar canopied chairs like these at Design Armoire. 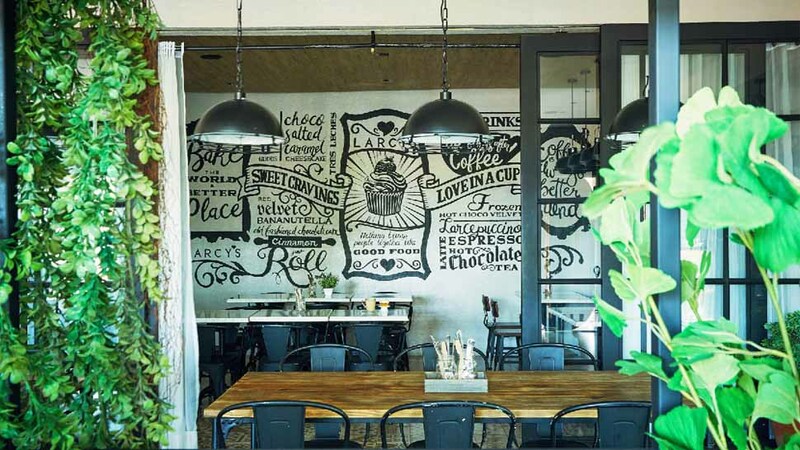 The delicate calligraphy on the walls not only makes for an Instagram-worthy background; it also adds a youthful vibe to the place (aside from listing down the café’s specialties!). Even the outdoor areas are snap-worthy, with the brick walls, marquee signs, and French-style wrought iron café tables and chairs. Get similar marquee signs at Typo, and the chairs and tables at Match Contract. Read the original article ("French-Industrial") in the June 2017 issue of Real Living Magazine. Download your digital copy of Real Living on the Real Living App. Log on to summitnewsstand.com.ph/real-living for more details.